What’s it like to fly business class with Etihad on the A380. There it was. The long snoring rumble of someone in a deep, uninterrupted sleep. Not highly unusual in most sleeping circumstances, but a rare sound when you're hurtling on a plane 30,000 feet in the air in an upright sitting position. Unless of course, you're in business class. I've spent my life flying long-haul in economy and have failed time and time again at ever actually sleeping sitting up. 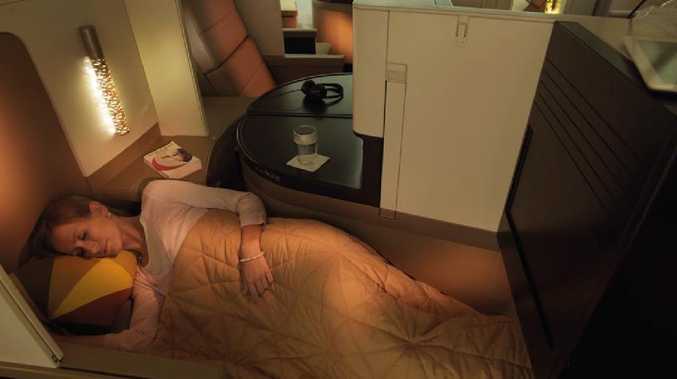 But after an unexpected upgrade with Etihad Airways, and the joys of a lie-flat bed, one thing is abundantly clear. Snoring is a sign of the flying elite. Here's what I learnt. Want to avoid spending 40 minutes in a long snaking line at the check-in counter? Check in online. Arriving at Sydney Airport I'm met with a line five rows deep as passengers wait to be manually checked-in. But there's no one in the baggage drop queue reserved for those who have checked in online. So skipping ahead of the hundreds before me, I go straight to the counter where I am told the three words every traveller wants to hear, "you've been upgraded". I'm on my way to Egypt, via Abu Dhabi, on a dream trip to see the pyramids and tombs of pharoahs that still exist, thousands of years old. And there is no better start than this. 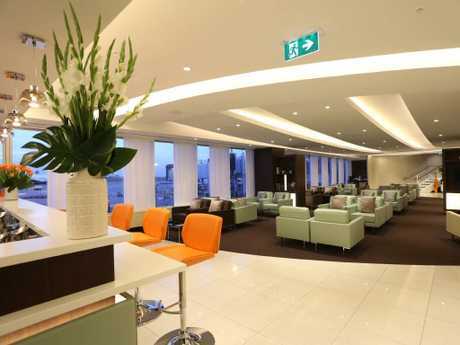 Etihad Airways' First And Business Class Lounge at Sydney Airport. Lounge access changes everything. Forget deciding which overpriced airport outlet to grab a coffee from or squeezing into the last spare seat with hundreds of other weary travellers by the boarding gate. The elusive world of airline lounges is the business class perk you never knew you needed. 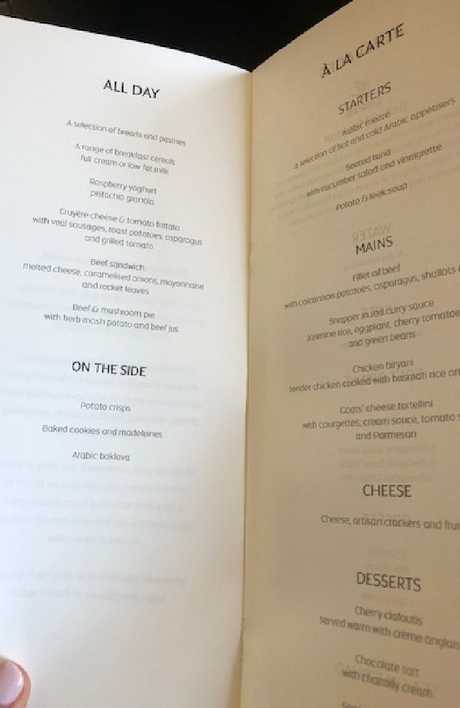 In the Etihad business lounge there's a buffet of beef brisket, chicken cacciatore and orecchiette pasta, there is even a separate a la carte menu which I discovered too late. Help yourself to champagne, wine and beer or order a cocktail or espresso (martini) from the fully stocked bar. It's a world of peace and holiday calm and I want to be a part of it always. It's huge and the thought of nearly 500 passengers on a plane is seriously daunting. But you won't give it a second thought in business class. That's because the business cabin on Etihad's A380 is on the upper deck a world away from the madness below. I say an excited yes to the glass of champagne I'm offered before takeoff, get even more excited when I pass the communal help yourself bar, and then spend the rest of boarding time pretending I know exactly what I'm doing (read: no idea what I'm doing). Where does the headphones plug into? How does the seat work? Do business class passengers get changed to sleep? 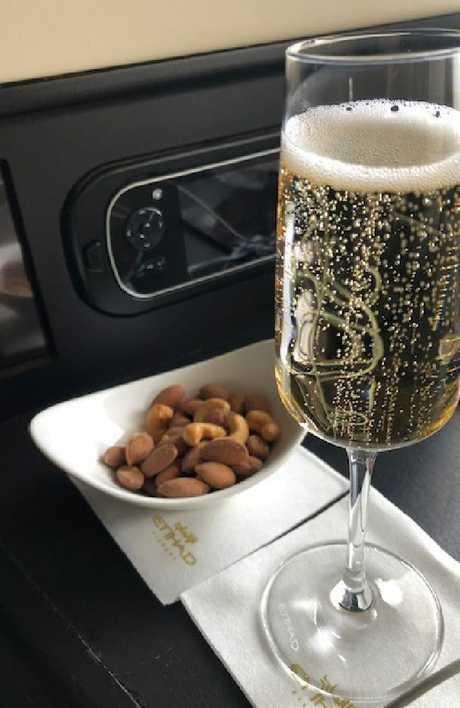 Champagne and nuts arrive immediately after take-off. "What drink can I bring you after takeoff?" says my flight attendant. This is like a fancy restaurant in the sky and true to word, a glass of champagne and bowl of nuts arrives as we hit the skies. For the first time in my life, I don't want this long-haul to end. Let's face it, when you have 15 hours ahead of you, meal times become the centre of your world on a flight. And when my opening option is a mezze plate, I go to flight meal heaven. 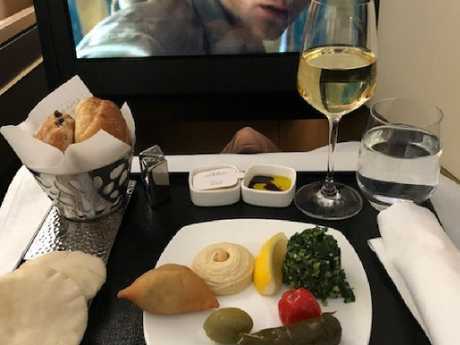 Etihad's on-board menu is a mix of Arabic and western dishes. I follow my mezze plate with a red snapper curry and a berry clafoutis. There's no trolley service. Instead, the flight attendant magically juggles a white tablecloth in one hand that drapes over my table while balancing my plated meal in the other. There are no food trays, no plastic cups, there are linen napkins and metal cutlery. But it's the bread basket that is the true indicator you've moved classes. Rock hard, cold rolls in economy are replaced with hot olive bread, pita and warm croissants. All good things start with a mezze plate and warm bread. There is also an "all day" menu for when you decide to order breakfast or a snack. Some passengers prefer to keep sleeping, but I vow not to miss a thing, and order the yoghurt with pistachio granola, a fresh fruit plate and (warm) pastries. There's also a melted cheese beef sandwich and a beef and mushroom pie that would have been tempting were it not 2am my time. There is a god, and his name is Etihad, or rather The Lobby in business class. In between the business class cabins and the uber-exclusive "The Residences", there's a bar for top tier guests to relax in. There's a semicircular couch to kick back on and an open bar to help yourself to all the beer, wine, champagne and cocktails you desire. Judging from the clinking of glasses and laughter drifting down the aisle, it's well used. I spare another thought for those waiting for the drinks trolley below. 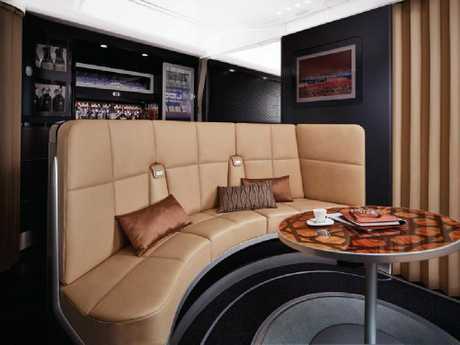 The Lobby - where the elite go to drink and relax on a long-haul flight. You'll never hear snoring on a plane because let's face it, sleep is an impossible task. Unless you're in business. At least two of my fellow passengers have fallen into a deep business class slumber thanks to their #lieflatbed. Sadly, Etihad did away with giving out free pyjamas which I think is a shame. Especially on the night flights. 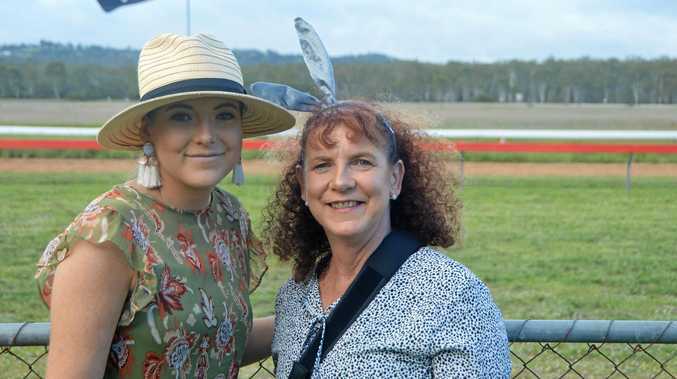 I do notice some passengers getting changed into comfier outfits before they pop on their eye masks (note to self for if there is ever a next time). It's the one time trackies are acceptable in the pointy end. 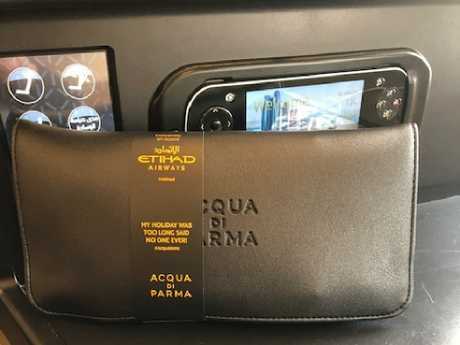 Earlier in the year Etihad launched new amenity kits in partnership with Italian fragrance brand Acqua di Parma. The unisex wallet bag contains a sampler of Colonia fragrance, hand cream, socks and a toothbrush. If you're an amenity kit collector, this one's a goodie. Etihad’s new Aqua di Parma amenity kits. Of the 14 hours on the flight I'm asleep for nine of them. A feat I've never accomplished before, but this is what business class flying is all about - lie flat beds and the occasional snore. Look out Etihad's business class deals - I'm already doing the maths in my head, it's worth every cent. The #business dream comes to an end too quickly at Abu Dhabi airport. I take a reality check and once again fight for a seat at the boarding gates for my next flight to Cairo. Then again, I'm off to Egypt, and life is great, but it's been even better with a surprise upgrade. This writer was a guest of Etihad Airways.